All of the iBrowse functionality is available in iExplorer for free. 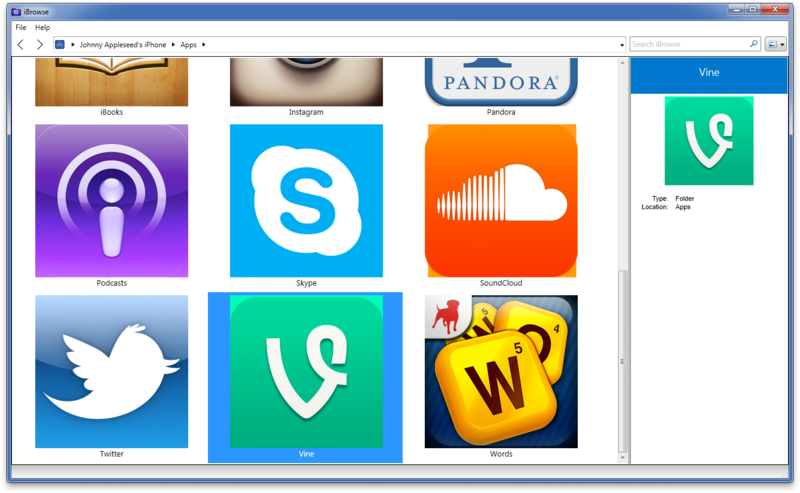 iExplorer is a free download. 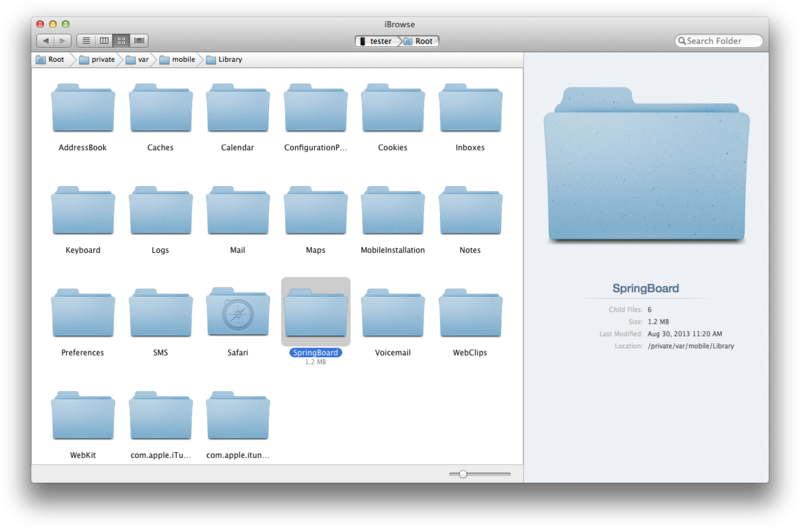 iBrowse lets you access the file system and iTunes backups of any iPhone or iPad. Accessing the files and folders on an iPhone, iPad, or iTunes backup has been a challenge - until now. 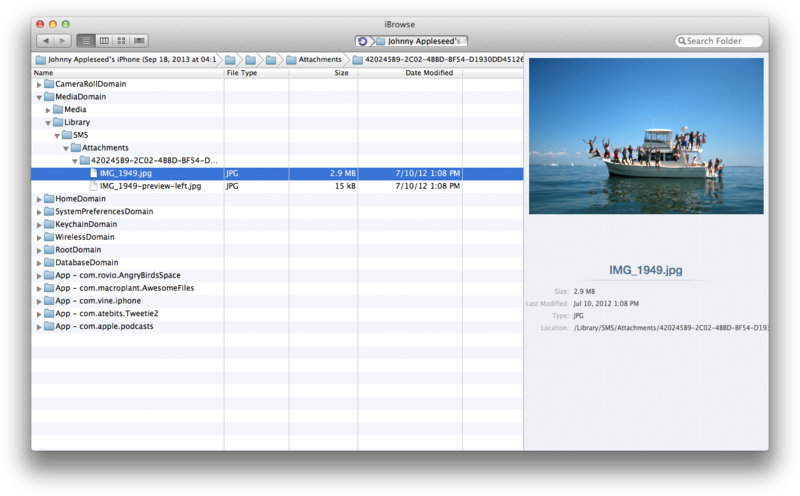 Introducing iBrowse. The newest app from Macroplant makes browsing and transferring files to or from your device a breeze. With a drag and drop interface and simple USB connectivity, all you have to do is plug in your device and your files are in your control. 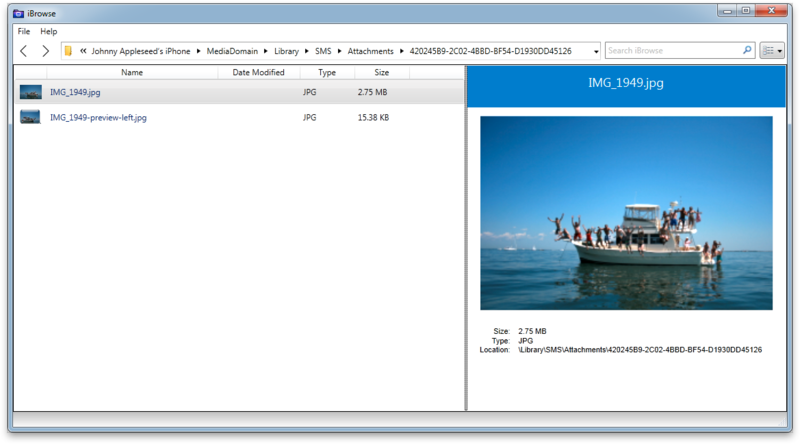 Instantly access your media and app directories where you'll have the ability to read and write the files on your device. With iBrowse you can easily transfer your saved game data from one iOS device to another. 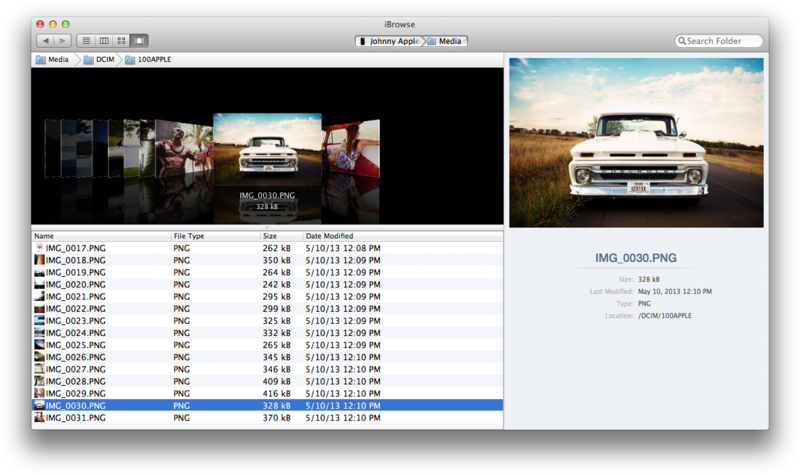 Thumbnail previews help ensure you select the correct file each time. 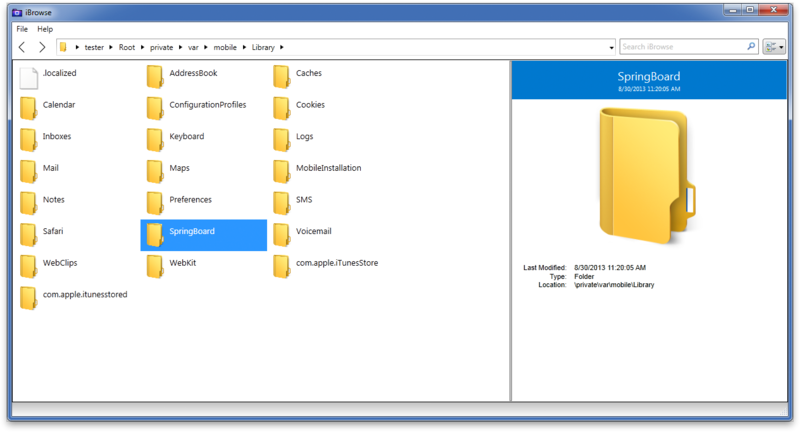 iBrowse does not require your device to be jailbroken, but if it is, you can additionally connect to the root directory of your device where you'll have nearly limitless access to all its files and folders. We took the file access capabilities of this app to a whole new level by adding access to iOS backups. No longer do you have to rely on restoring your entire device from iTunes just to see what’s saved in your backup. With iBrowse, you can browse the contents of existing iTunes backups or have the option to browse the contents of a fresh backup from your device, all within the app interface. From start to finish, everything about iBrowse is straightforward. 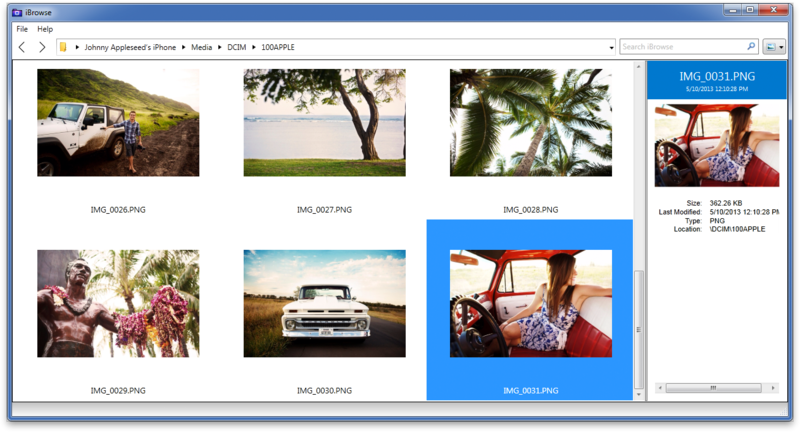 It’s easy to install and iBrowse's simple and intuitive interface works like Finder or Windows Explorer which makes it extremely user-friendly. Simply plug in your iOS device using a USB cable and start browsing. And with a convenient drag and drop feature, it's a hassle-free experience. iPhone, iPad, iPod Touch, and even Apple TV. iBrowse works on any device running iOS. Don't have the latest generation device or iOS version? Don't sweat it, the app works on every version of iOS with all the devices. And it’s cross-platform. The Windows and Mac versions of this program were individually written and built entirely native with respect to operating system rather than being quickly ported over like some apps. 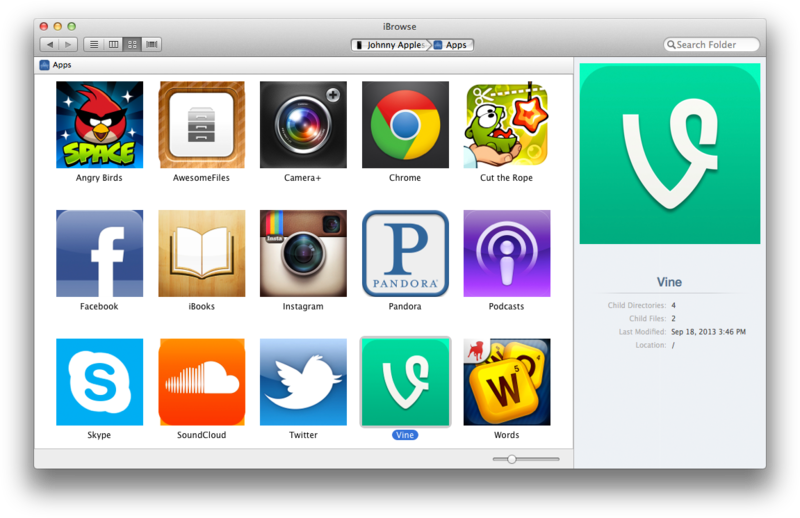 iBrowse is a dead simple app that offers users access to their own files. At Macroplant, we believe accessing your own files should be free, so we’ve made iBrowse entirely freeware. There’s no gunk in the installer, no trial version, and you can’t buy this app. It’s free. If you want to help support our company, please buy one of our other apps from our Macroplant store.